Dallas' new slogan "Live Large. Think Big." describes the essence and vitality of a city built on big dreams, freshly blazed trails and an attitude that all things are possible. This richly diverse city offers a thriving culinary scene, leading arts district, countless luxury accommodations, professional sports, trendy entertainment districts and endless shopping opportunities. A bit of the beach and cold beer in the center of Dallas. Make sure you wear your Hawaiian shirt! Great club for live music. Saturday is the best night, but actually, all nights are good here. Make sure to hang out on the patio- it rocks! This is the probably the best Tex-Mex resaurant in the world. I don't say that lightly. Large portions, mesquite cooked everything.The unique hot (warmed) salsa is mild but one of the most flavorful I have EVER had. The Juarez Special is one of the best combo plates anywhere. EVERYTHING is great, and the atmoshpere is like that of a big Mexican market-hence the name. It's a $20.00 taxi ride from downtown Dallas, but well worth it. I cannot say enough about this restaurant! Some of the best barbecue in a train-themed atmosphere. Try the chicken & dumplings! The best steak in Dallas, without a doubt. Have the lobster as well. And the "smashed potatoes" are scrumptious. Al Biernat himself will greet you and make sure that you enjoy your meal. No visit to Dallas is complete without visiting the legendary Southfork Ranch. 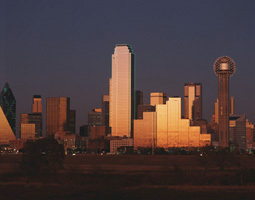 For thirteen years, television sets were tuned into 356 episodes of "Dallas", one of the longest running series in television history. Viewers made themselves home at Southfork, the ranch the Ewings called home and where the world was a weekly guest. Today, Southfork continues to welcome visitors from around the world, who come to see where "Dallas" was filmed and to experience the lifestyle made famous by the Ewings. The Sixth Floor Museum at Dealey Plaza chronicles the assassination and legacy of President John F. Kennedy; interprets and supports the Dealey Plaza National Historical Landmark District and the John F. Kennedy Memorial Plaza; and presents contemporary culture within the context of presidential history. >>Search Pollstar for live music in Dallas!